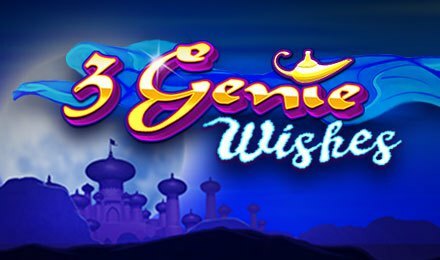 At Vegas Spins, you can enjoy a magical world by the side of Aladdin on 3 Genie Wishes slot game. Themed on the famous novel, this online slot machine is made of 5 reels and 50 paylines. Plunge into the top décor of this game which shows a lovely desert now! You can play this game on either a tablet, a mobile phone or a laptop. When you start to roll the reels, the awesome symbols you will see are Parrot, Monkey, Genie, Jasmine, Aladdin, Jafar and the usual card symbols like A, K, Q and J. The Genie will quickly become your favourite as it is the top paying and wild symbol. This online slot game awards a win when a combination of 3 or more similar symbols are seen anywhere on the reels. You can also enjoy the top background music by opting for auto-play mode. This option allows you to let some game rounds play hands-free, without any required manual intervention. Bet Levels: The Bet Level option is not included on this game. Amount of Paylines Selection: You can’t change the number of lines as these are fixed throughout the game. Coin Values: The Bet Field lets you select any stakes from £0.50 to £250.00. On this magic themed slot game, you will see the scatter symbols only on reels 5, 3 or 1. You will also find the wild symbol which is represented by the Genie. This symbol can chip in for any other symbols, apart from scatter. When the bonus round has been triggered, you will have to select one out of three bonus features. Any of these can award you up to 14 extravagant bonuses like multipliers, high award, small award or free spins. The Free Spins Round is played on another set of special reels. Once this feature has been launched, you are offered 10 free spins to play with. For each free spin, sticky or raining wilds will appear on the reels for better wins.